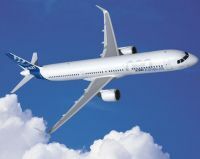 The new Airbus A320 neo is to be offered with up to 236 seats, taking it very much into the Boeing 757 replacement area. Amongst carriers looking at their fleet needs towards the end of this era are Ryanair, a Boeing customer (737-800 189 seats), and easyJet, originally very much in the A319 fold (150 seats) and then A320 (now only taking delivery of this 180-seat aircraft), and also operating the A321 in 220 seats mode (ex-GB Airways). 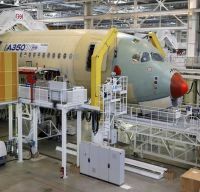 Airbus CEO Fabrice Bregier does not see an imminent effect of the Dreamliner grounding on the Airbus A350 programme, which also plans to use lithium-ion batteries. Centaur, organisers of next week’s Business Travel Show at London’s Earl Court, have published a very comprehensive 30-page on-line Show Preview which is also being mailed to prospective visitors. 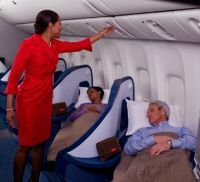 Atlanta is to be served three times daily from Heathrow (LHR) by Delta from the start of the summer season. BA has a single flight. Now easily the longest established US airline operating into London, the original Atlanta – Gatwick route was launched in 1978. Delta also links Kennedy (JFK) three times daily from the main London airport and serves Boston, Detroit and Minneapolis with single flights. Exeter-based Flybe, which has struggled in terms of profitability since it floated on the London Stock Market in December 2010 at 295p (Friday 25 January closing price 47.5p) is to cut around 300 jobs in its UK operation as part of a restructuring plan aimed at delivering £35m of savings by 2014/15. The Royal Air Force has started to modernise its passenger aircraft and taken delivery of a civil registered Airbus A330-200 dual purpose flight refuelling plane officially named Voyager ((G-VYGG)). In the civil role it is normally flown in a three-crew setup by licensed reservists who can also fly a military mission. Also still in service are Tristar's and the VC10. Waldorf Astoria Hotels & Resorts, part of the Hilton Group, has unveiled its second European luxury hotel opening in recent months – the highly-anticipated Waldorf Astoria Berlin, sited close to the Berlin Zoo. 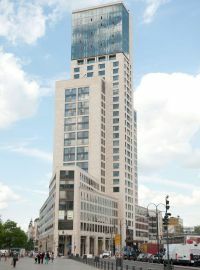 Featuring 232 luxury guestrooms and suites, the hotel, with its 32 floors, sits within the spectacular new Zoofenster skyscraper, designed by renowned German architect, Professor Christoph Maeckler. 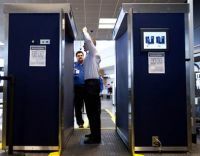 The US Transportation Security Administration (TSA) says that it is removing full-body airport scanners that produced what appear to be naked images of a traveller’s body. 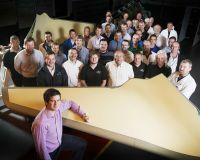 In a demonstration of the complexity of modern aircraft manufacturing GKN Aerospace has delivered the first production aircraft set of winglets to Bombardier at Belfast for the new Bombardier C Series aircraft. These will be added to the wing before transporting to Montreal for final assembly. 1 April has been chosen for the ‘soft’ opening of the new Doha airport officially to be called 'Hamad International' in honour of His Highness The Emir, Sheikh Hamad Bin Khalifa Al Thani whose vision it was to create a world-class international gateway within the Arabian Gulf. 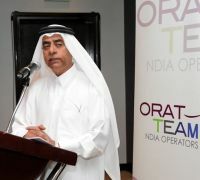 The airport will be operated by Qatar Airways. Following the successful opening of its flagship store and vaccination clinic in the heart of the City of London, Nomad is to add a second facility at the London Cheapside location. Nomad says that there is a demand for last minute vaccination by travellers who have to go abroad at very short notice. The second clinic should be able to satisfy this demand. In fact no more than an air travel booking service that questionably called itself an airline, Manx 2, has gone. 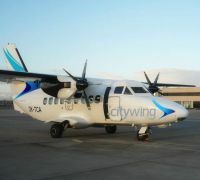 Spoken of by some as a ‘virtual airline’ it has now been effectively rebranded as ‘Citywing’, an airline seat seller. All flights are operated by VanAir Europe AS & Links Air under their own AOCs. Having in recent weeks lost its Isle of Man and Jersey routes (see Manx 2 above) Oxford Airport has now confirmed two new scheduled services for 2013. 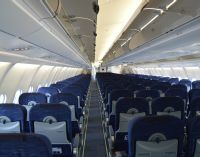 Minoan Air, new to the UK, and established in Greece in 2011, is to operate direct to Edinburgh and Dublin from March. Regular readers of ON TOUR would have read just two weeks back Jane Stanbury's report on the MEBA (Middle East Business Aviation) gathering in Dubai. She travelled with Royal Brunei Airlines. Here is her report. Next week she describes Dubai. 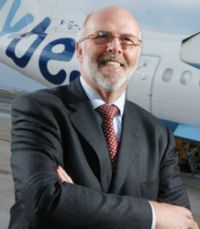 In October 2012 Royal Brunei Airlines (RBA) launched a rebrand under Dennis Mannion, the airlines Deputy Chairman and former CEO Aer Lingus. Remodelling of lounges, ticket offices and a complete redesign of the uniform are all part of a strategy to position the airline as a world class player. The 787 is on order with the airline expected to be the first in South East Asia to take delivery. In 2013 over 1.7 million individual cruise packages are expected to be sold in the United Kingdom. When you think that these will average out at £1,200 each you will realise that cruising is immensely popular and getting even more so. 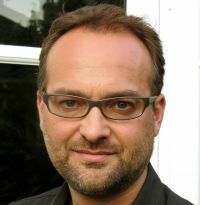 Your Editor was a ‘ten pound pom’ at the age of eight, his parents emigrating to Australia in the early fifties. Since those early days he has spent time on more than 30 cruise ships, big and small and still gets the magic feeling when stepping on board. Here he discusses cruising holidays. As he says “it is not easy”. On a recent Silversea cruise the Entertainment Director opened his introduction listing some questions by previous clients. Diplomatically he did not say where they had originated from. He did a show routine one evening too. Terrific guy. Here are the ten best. • What time is the midnight buffet? • Does the crew sleep onboard? • Is that fresh or salt water in the toilets? • What do you do with the ice carvings after they melt? • The microwave in my room isn’t working! • What would happen if I flushed the toilet while still sat! • What time do they turn on the Northern Lights? • How small does your face have to be to get a mini-facial? • I was very disappointed with the ruins poor condition! • I did not pay US$20,000 to overlook a parking lot! A new report from Amadeus, to be published at the Business Travel Show next week, reveals top requirements for corporate travellers. It is based on a survey of over 400 British and Irish adults, who work for large companies and regularly travel for business and was conducted in December 2012, by ICM Research on behalf of Amadeus UK. 328 Group, the specialist aviation support company that emerged from the bankruptcy of Dornier GmbH, has purchased a maintenance service centre formerly owned by Jet Aviation. The new company will be named JETS (Biggin Hill) Ltd 328 Group. Other operations are near Munich and Jet Engineering Technical Support Ltd at Bournemouth airport. On Monday 13 May the airline will introduce non-stop daily flights, except Saturday, to Gothenburg, Lyon and Toulouse. Fifty-seat Embraer 145 jets will be used on all sectors. Readers are reminded that BA is set to make a number of changes to its summer 2013 schedule (from 31 March) including a new route, terminal changes and frequency increases. The airline will introduce flights from Heathrow to Ibiza from 27 April thanks to the popularity of the services the airline already operates to the Mediterranean island and from both London City and Gatwick airports. This is in addition to new Spanish routes from Heathrow to Palma (starting 31 March), from Gatwick to both Lanzarote (starting 31 March) and Tenerife (starting 29 March). 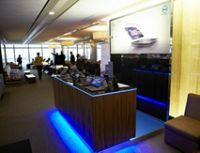 Travellers with time on their hands at Heathrow Terminal 5, and into computers, might want to make the use of a three-month long test marketing campaign organised by Dell. 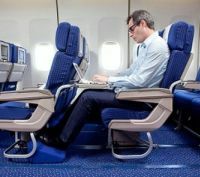 Following the success of Economy Class Plus on its Boeing 747, as evidenced by increased demand and high customer satisfaction, El Al is to introduce the class to the airline’s 767s as well. These aircraft are mainly flown on the Bangkok, Beijing, Johannesburg, Mumbai and Toronto routes, although Luton will see the plane this summer. Greater Anglia, the current franchise holder for much of the region from which it takes its name, the operator of the Stansted Express, has today (Monday 28 January) published what it describes as “a case for major East Anglican rail upgrades”.